This property features an array of gardens that act as stage for a curated collection of commissioned sculptures. The home, a Milo Thompson design, is energetically geometric. This geometry extends to the landscape. 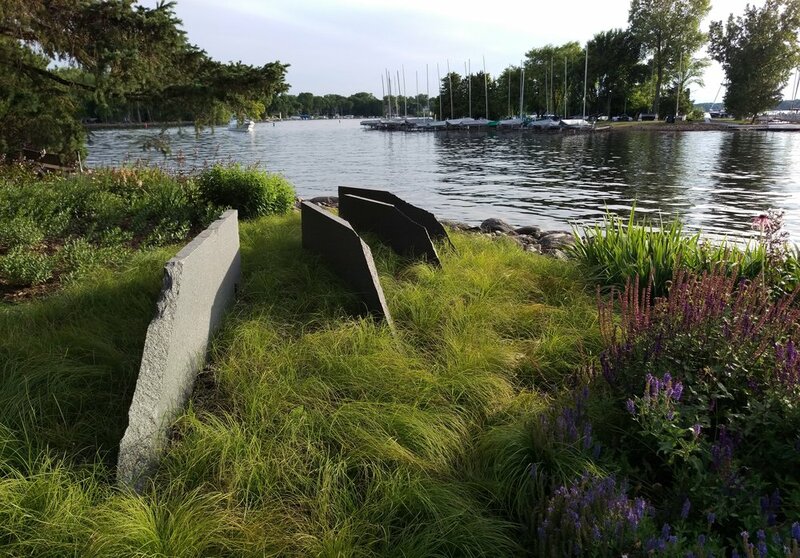 Drawing inspiration from the islands offshore, a series of five ellipses planted with native grasses display stone and steel sculptures. 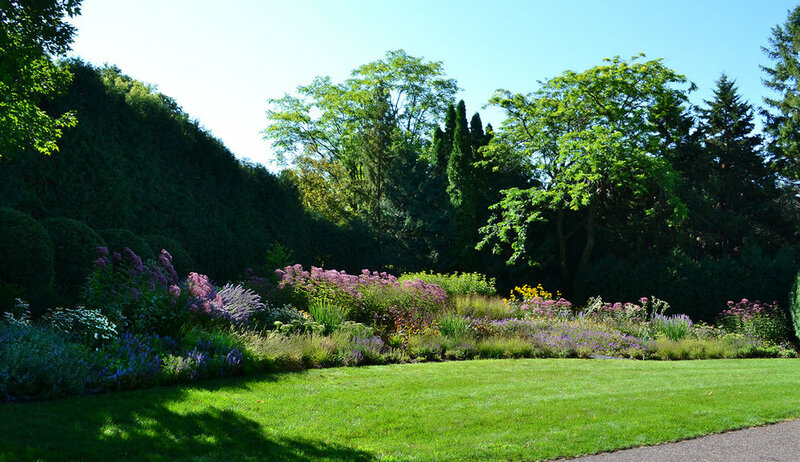 The garden plantings present a flowing rhythm of monocultural islands and diverse waves of flowering perennials that introduces a living dynamic to the property.